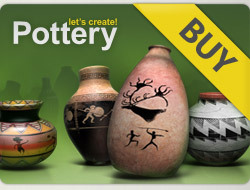 5***** for your new awesome pots - dear DUSTIN !!!! A very happy day with lots of love !!! 5* x 3 new beautiful creations. Happy day, Dustin !!! 5* x 3 new lovely pots. Happy weekend, Dustin !!!! GOOD LUCK DEAR DUSTIN !!!!!!!!!! 5* x 20 new beautiful creations. Happy day, Dustin !!!! Beautiful creations, Dustin. Five deserved stars for all pots. Welcome to Lcp !!! !